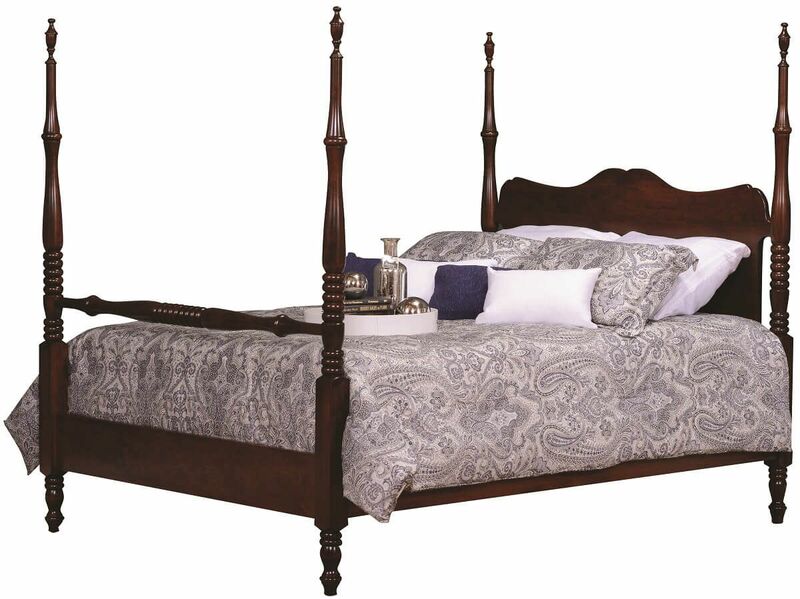 A timeless design with handcrafted details, the Warsaw Four Poster Bed features tall beaded bed posts, real wood construction, and easy curves. Four stunning 72" high beaded posts paired with a smooth hardwood finish creates the one of a kind Warsaw Four Poster Bed. The high blanket rail on the footboard allows your bedding to be properly shown, while the rest of the handmade bed is sure to impress no matter style nor decor preference. All standard bed sizes accommodate a mattress and foundation box spring. Are you unsure about which hardwood and finish will work best in your bedroom? Request real wood samples to view at home before committing to a final combination. For reference, the Warsaw Four Poster Bed is pictured in a hand-rubbed Mulberry Velours wood finish over domestic Cherry.